This month’s featured artist is a digital artist and a photographer. She’s also from the land of Bicolandia and she’s Siena Quides. Let’s get to know her! 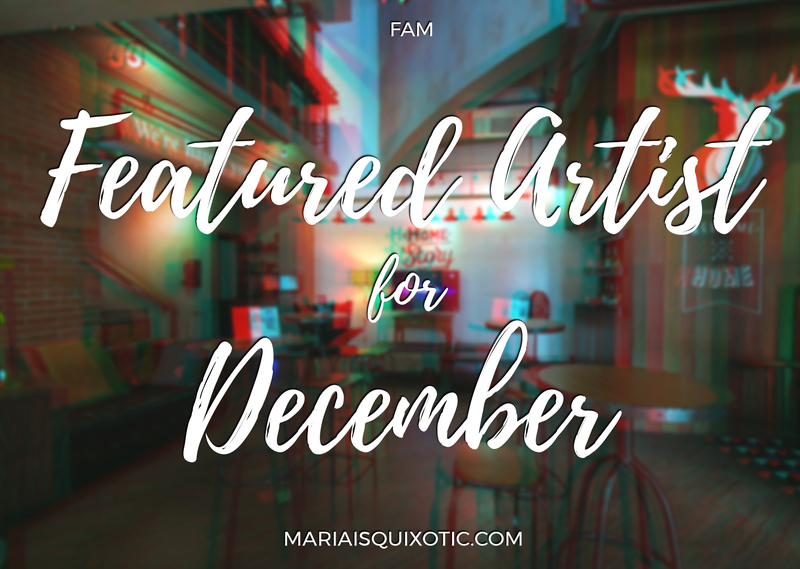 Another month, another featured artist that aims to inspire every dreamer out there. This series has been on the internet for more than a year now and personally, I love how it reaches the readers out there. Through the comments, the artist and myself read and see the love and appreciation that there is. I met Siena through Iny‘s live session on Facebook. Through that, I got to know that she’s a photographer and a videographer. Plus, she is quite an expert with digital illustrations and art. A while back, I stalked her Behance profile and saw the Riverdale artworks. From there, I have become a fan. What made me start this craft is my passion in drawing and illustration. I’ve been illustrating and cartooning since I was 7 years old. I just feel that this is my passion, that this is what I want to do with my life. Then, I started drawing. I never stopped since then. What made me start doing vector artworks on the other hand is the realization that I have to be versatile. I also have to learn how to learn how to illustrate digitally. I’ve been doing vector artworks since I was a third year college student. It’s probably the passion that drives me why I pursue this. Regardless of how tired I am firm video editing and being a vfx artist on weekdays, I always make sure that I create at least one vector/illustation project on weekends. I just really love creating vector artworks. Did you have struggles in pursuing the craft? I do. At the moment, it’s probably the conflict in my working schedule. There are times that I’m too busy with my fulltime and freelance job that I fail to create even one illustration. It’s really sad especially when you really want to create one but time just won’t allow you. Make your passion your profession. The love for it. You know how things work. When there’s love to it you just keep on doing everything it no matter what. Same goes with my craft, as long as the love in illustration is there, I will never stop doing it because it feels good. Never let anyone or anything stop you from creating more art. Always have faith in what you do, what you can do, and what you will create. You just got to believe that there’s always a room for improvement. So what if you fly when you begin dreaming? Are you ready? Here digital illustrations are awesome! Love the details on the vectorized photos. Checked her Instagram page and I have to say her photos are amazing. She deserves the feature! Anyway, congratulations Siena .. and keep up the marvelous work! I really like her creativeness.Her instagram features are simply attractive.Nice to read about Sienna and her journey through this interview.Her tips to newbies are really valuable.Specially that she says ‘never stop creating more art due to any reason.I hope she will have a better future with her creativeness! I love her fave quote – Make your passion your profession. Inspires me to push through my love for writing. I wonder really how artists like her do their craft. My husband works using autocad for his engineering works. So I assume Siena also uses a computer program for her works? Is it too late to try and study such art? Being a digital artist is lot different than being a photographer or videographer. One needs more skill and creativity. It is commendable that she understands that passion should be profession. Great to know her. It is truly amazing to see such amazing young people. It is impressive to know what one can do with technology today. Never imagined that gadgets can be used to create true works of art. Simply amazing and I really love her works. Beautiful indeed! Im no good at phototshop, but I do love taking pictures. Glad she found what she loves early in life. Gotta love it when people end up doing what they love! Im intrigued by various forms of art! Wished I was more artsy…im gonna check out her social media pages, cant wait to see her creations. I really love reading your featured artist posts – I find them so inspiring! What I really loved was how Siena explains that she struggles to create in-between her work – it’s something I find challenging. Income vs freedom to create and it’s so refreshing to read I’m not the only one attempting to find this balance. This blogsite is truly artistic. From your usual posts that present your craftsmanship and lettering and other stuff to this featured people who are also artists in their own little way, are absolutely awesome! I hope one day, I could find the hidden artistry in me. Thanks!